A Monmouth County man is arrested with charges of illegally owning and selling handguns, high powered rifles, and assault weapons. 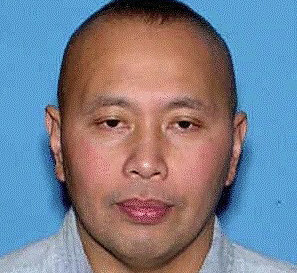 New Jersey State Police apprehended 42 year old Tamano Macalbe of Hazlet after a three month investigation into the unlawful transport and sale of firearms within Monmouth County. Macalbe was arrested by New Jersey State Police Street Gang Central Unit who were assisted in their investigation by the state Weapons Trafficking Unit in successfully purchasing five weapons from Macalbe. The investigation came to a crux when police learned Macalbe had made several statements claiming his willingness to initiate armed conflict with law enforcement and that he liked to carry a firearm while driving around in the public. Several military type anti-personal devices were also discovered during the course of the search which were determined to be non working by the New Jersey State Police Bomb/Arson Unit. Macalbe is currently in the Monmouth County jail on 600,000.00 bail no 10%. This investigation is still ongoing.